Christine Schneider, who recently lost her husband, is raising an 8-year-old son. Family, friends and even strangers are rallying to support Christine Schneider, who recently lost her husband and is in need of a kidney transplant. She is raising the couple’s 8-year-old son, Dylan Kai, by herself and is fighting to prevent him from becoming an orphan. 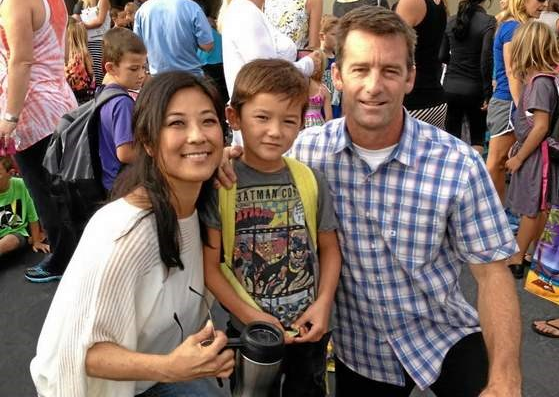 Doug Schneider, 47, a lifelong resident of Hermosa Beach, died on Nov. 8 after a dirt bike accident in the desert. He and Christine married in 2002 and Dylan was born in 2006. Because of Doug’s love for the ocean, a memorial paddle-out was held off 24th Street in Hermosa Beach on Nov. 16, followed by a memorial service at American Martyrs Catholic Church in Manhattan Beach on Nov. 17. In lieu of flowers, an education fund has been set up for Dylan. Doug’s friends have been also helping by taking Dylan out for skating or surfing, activities that Christine can’t participate in. Diagnosed with lupus — a chronic autoimmune disease that affects several parts of the body — in her teens, Christine, 42, received a kidney transplant in 2001 with her brother Jeff as the donor, and now needs a second transplant. For the past two years, she has undergone dialysis nine hours a night with 40-minute treatments every afternoon. The treatments are painful and she is often fatigued and nauseous. Her condition forced her to give up her job as an executive producer for commercials. Christine, who has been on the transplant list for two years, is a “universal recipient,” meaning that she can receive a kidney from a person of any blood type, said her mother, Myra Uyemura. However, potential donors must be prescreened and undergo “tissue typing, antibody testing and all kinds of things. It’s not simple. Tests can take several weeks,” she said. Potential donors are asked to email Uyemura at [email protected] She does a preliminary screening with a questionnaire, then forwards the information to the Cedars-Sinai Transplant Center, which can only test four people at a time. “As they get eliminated or find that they don’t match Christine somehow, the next person on the list will be called,” she said. Friends have established a website to provide more information: http://Youcaring.com/kidney4christine. Awareness can be created on social media by posting #kidney4christine. Doug and Dylan would often take a dip in the Jacuzzi after going to the beach. Donations to Dylan’s education fund can be sent to Bank of America, 90 Pier Ave., Hermosa Beach, CA 90254. Make checks payable to Dylan K. Schneider and write the account number, 0224, on the memo line. Donations can also be made online through the website. Christine and her brothers Wes and Jeff grew up in Thousand Oaks. Her grandparents are Frances and Charles Kido, Tadashi Murakami, and Paul and Machiko Uyemura. Paul was one of the original owners of Holiday Bowl in the Crenshaw area and was an employee of The Rafu Shimpo over 57 years ago. Myra Uyemura conveyed Christine’s wish that her husband not be forgotten in the midst of all this effort on her behalf. Born in 1967 to June and Bill Schneider, Doug attended Hermosa Beach schools and Mira Costa High School, where he was involved in a number of sports. He went on to UCLA, where he played volleyball, graduated in 1990, and worked in textile sales. He met Christine in 1994 after she graduated from USC. The couple lived in Hermosa Beach, then bought a house in San Pedro, which later burned down. They returned to Hermosa, but when they became a one-income family, they moved in with Myra and Gary Uyemura in San Clemente. Christine posted a photo of Doug and Dylan and wrote, “Doug loved the water and missed being across the street from the ocean when we moved to SC. He had to go to the ocean at least once a day to surf, SUP (stand-up paddle), or even just to see the water. 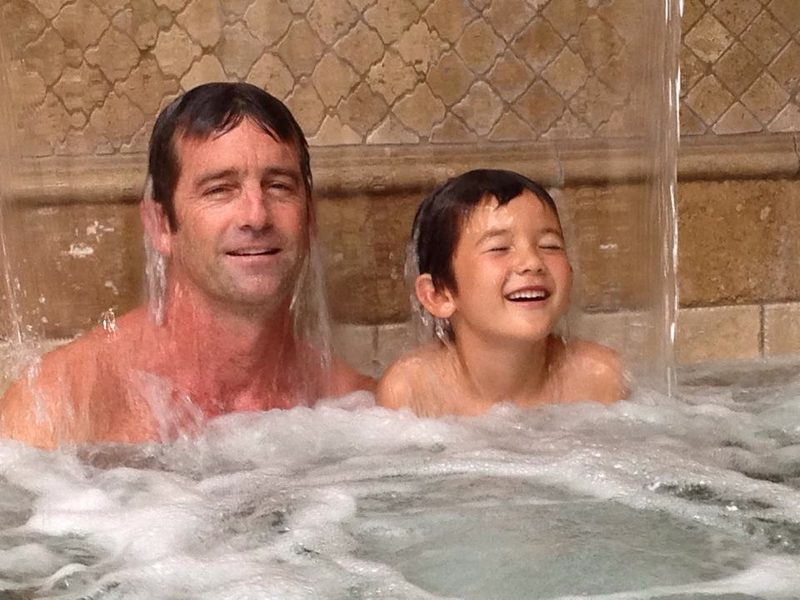 Then he’d make sure to follow it up with a dip in the Jacuzzi daily too to get wet!